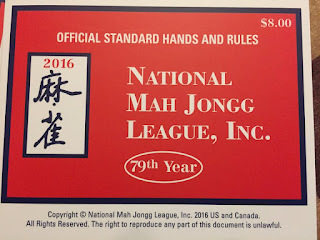 The latest edition of the National Mah Jongg League newsletter has just arrived! The newsletter details the activities of the League and keeps the membership informed of any updates. To receive the newsletter, you must be an active member of the League. You become a member when you purchase a card either directly from the League (online or by mail) or you purchase your card from a Collector who submits your name and address to the League membership roster. The newsletter is informative, entertaining and performs several important functions. The President's report - Wherein Larry Unger, League President, reflects on the League's work for the year; card development, hurricane relief, and continuing contributions to worthy causes. The Mailbag - correspondence received by the League from charities who have received donations sent by the League on behalf of the membership. 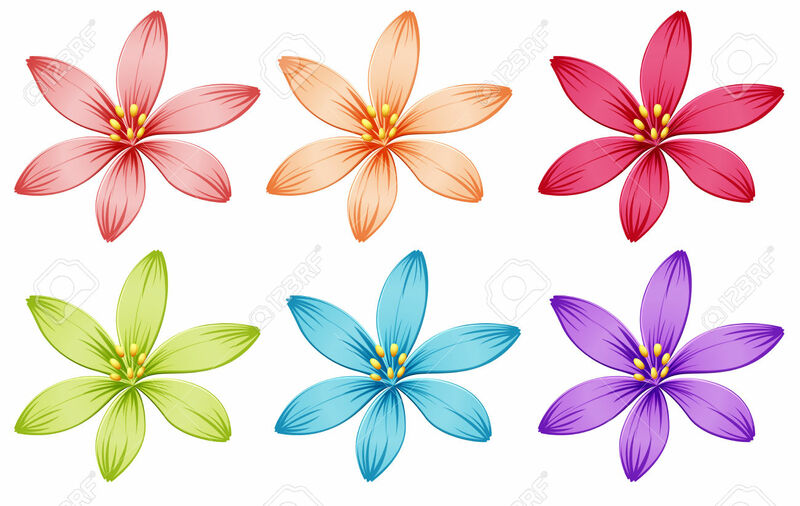 From major hospitals to individual scholarships, it is gratifying to know that a portion of our membership dues (an unchanged $8 - $9) is being used to help others. The mailbag this year also contains some whimsical poetry on the subject of mahjongg. - A player is committed to taking a tile from the wall if it has been moved in any way. The 2018-2019 Membership Application - make sure to order your cards early to be sure you receive the 2018 card without delay upon release! The label of the newsletter contains your membership number, which is necessary when ordering. Bits and Pieces and the Mah Jongg Store - This covers the products and services performed by the League, including the online game and tile matching service. 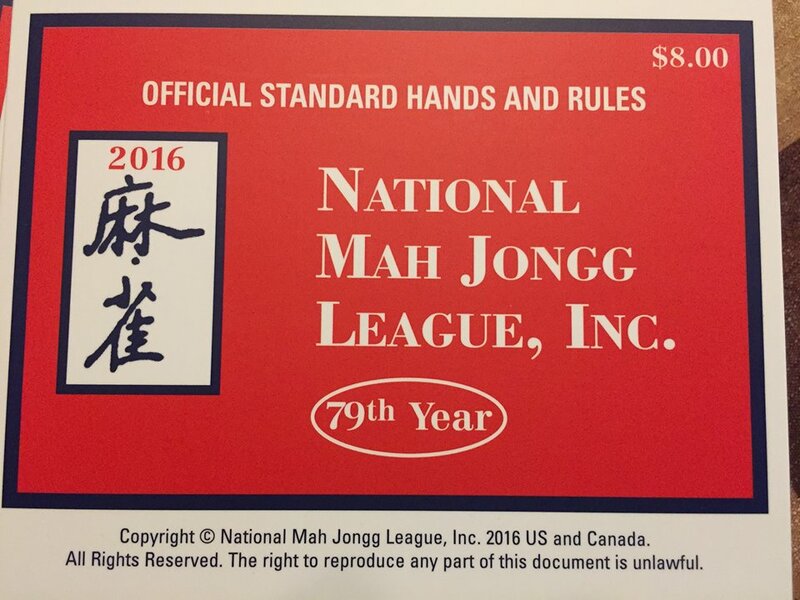 Important note: A newly revised version of Mah Jongg Made Easy (the League's official rule book) is now available. The Honor Roll continues to grow - the last two pages of the Newsletter list all the Collector members (those who send in 35 or more membership applications) and their charities of choice. I may not have been blogging much this year but I have been playing and teaching and seeing the excitement and interest that people have been showing as they learn this great game. Mah Jongg has certainly enhanced my life and brought me into a community of fun, like-minded people from all over the world, all for the price of a mah jongg card. So I would like to take this opportunity to wish everyone reading this a happy new year, and to thank the League once again for their hard work and dedication.